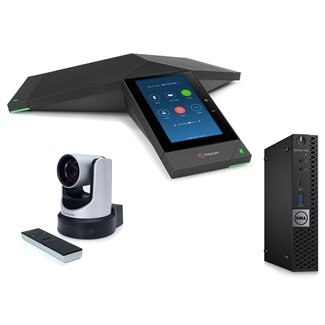 Polycom and Zoom have teamed up to bring a professional collaboration solution for midsize rooms and shared work spaces. Designed to work natively with the Zoom Rooms video conferencing platform, this bundle includes Polycom Trio 8500 Conference Phone, Polycom EagleEye IV USB Camera, and Dell OptiPlex 7050 MFF computer. 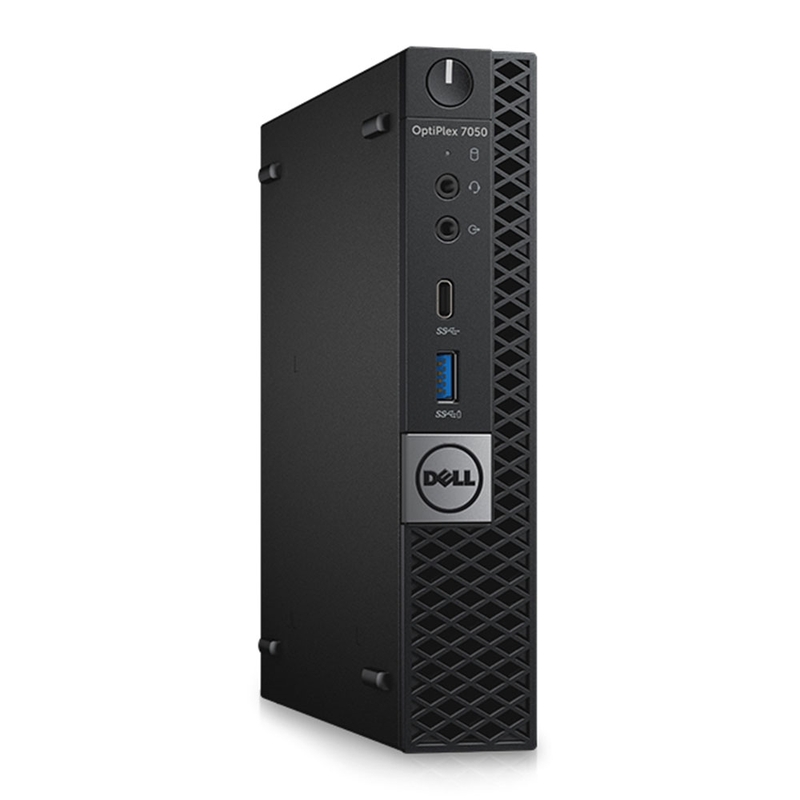 The OptiPlex acts as a server and comes with Zoom Rooms software preinstalled, streamlining deployment. Trio 8500 provides crystal-clear audio in 360° out to 14ft. The phone's touchscreen display offers a simple interface for setting up and managing Zoom conferences. 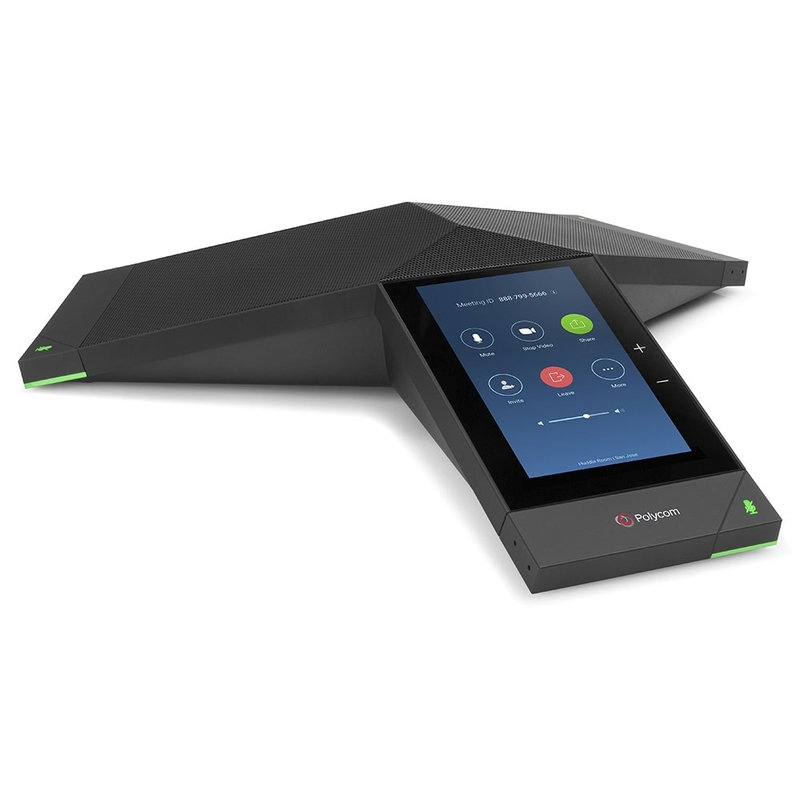 Integrated Polycom NoiseBlock technology greatly limits background noise. EagleEye IV USB Camera is a plug-and-play PTZ camera that takes 1080p Full HD video. 12x lossless optical zoom lets you focus on the faces in the room. The USB camera is simple to operate, connecting with a single USB cable and coming with a remote control. 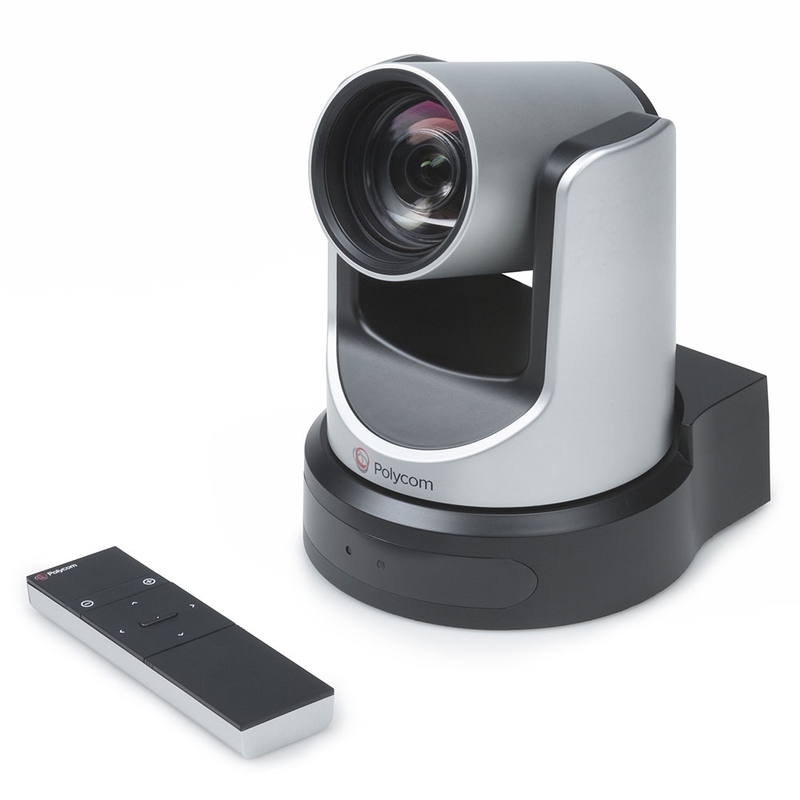 For a native Zoom Rooms video conferencing system for midsize rooms, try this bundle!